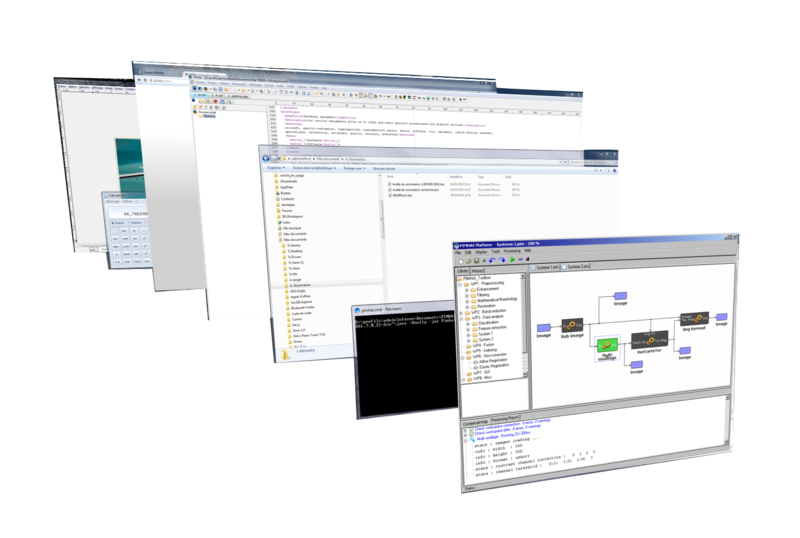 The whole software tools and processing methods developped in the laboratory are integrated into an evolutive software platform. The different preprocessing, processing and analysis modules are used for orthorectification, atmospheric correction, restauration (filtering, deconvolution) and segmentation (classification) of hyperspectral images. This platform, in addition with the acquisition platform allows us to offer operational and customized services, ranging from acquisition to image interpretation. These two platforms are fitted to perform the acquisition of aerial imagery and to extract the information users and decision makers are looking for.